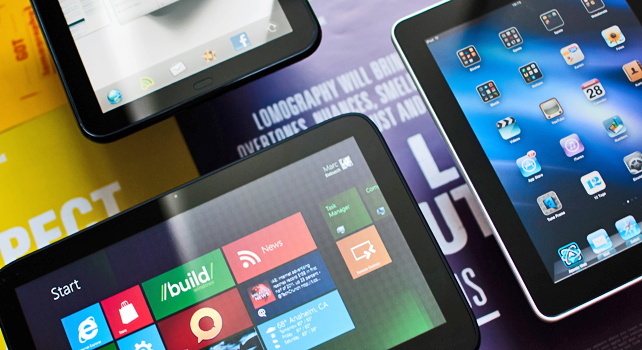 When it comes to tablets, the race for second place is still wide open–and there are lots of reasons for Microsoft to win it. One irrefutable conclusion from the swarm of conflicting rumors about today’s surprise Microsoft press event is that the mere idea of a Microsoft tablet is enough to get people excited–which means that it might just be a good idea. I’m not saying that Microsoft should try to compete with Apple here. The iPad is selling by the boat-load, and its position of almost complete market dominance is all but assured for the next several years–recent IDC data suggests it may even increase its share this year. But who’s in second place? That tier is still wide open. No one’s really seized it convincingly (sorry, Samsung fans). And the entire tablet market is still growing. Samsung has made some progress by trying version after version of a Galaxy Tab. Amazon’s Kindle Fire has been a moderate success, but its sales may be tapering off–and you can’t pretend that the Fire is a “full” tablet. There’s no Palm-based competitor in this space thanks to the machinations of HP. And RIM’s PlayBook has all but foundered like a weakly-designed ship after an iceberg collision. Google is rumored to have a cheap, powerful, Nexus Android tablet on the way–it will likely be unveiled at the I/O conference on June 27. This will be a strong contender in the cluttered Android tablet space thanks to Google’s name, the fact that its performance would be honed in a closer hardware/software synergy, and that it may come at a compellingly low price. Google is also continuously building its cloud strategy, and pushing its various platforms at the enterprise market–touting low prices, easy access, simple interfaces and so on. For competing with Google alone, a Microsoft-branded tablet makes sense. It would appeal to a certain class of enterprise user who has a considerable existing investment in Microsoft IT infrastructure to power email, calendars, collaborative work and networking. Microsoft may even be able to bundle it with some kind of deal that would appeal to business users, perhaps offering low service or upgrade costs or a discount if bought with a Windows 8 license. Another big reason Microsoft needs to move aggressively into the tablet arena is to fend off Apple’s growing influence in the business market. Aside from the iPad’s overwhelming popularity, more companies are adopting “bring your own device” policies. This represents a double-whammy for Microsoft because in some cases the iPad doesn’t just deprecate the need to have a good MS desktop machine or laptop–it’s actually displacing them from user’s workflows. Add it all up and it’s easy to see how Microsoft could be thinking that second place looks pretty good right now. Whether or not they can produce a device worthy of the silver remains to be seen.